Every year I go on at least 1-2 road trips that usually last about a week. Iv'e really developed a passion for traveling and love to document my new explorations. My essentials when traveling are my dogs, hiking gear, and cameras. I thought I would not only share about each road trip that iv'e done, but also some of my favorite hikes and places I have been to! One of my all time favorite road trips was one I did with my friend Lucy in 2015, traveling up the coast of California. We both have Pit Bulls and were heading up to Fresno for the Bully Boo Walk held by Fresno Bully Rescue, so we decided to make a road trip out of it! We were gone for 4 days and stopped at various places hiking and exploring the different beaches California had to offer! 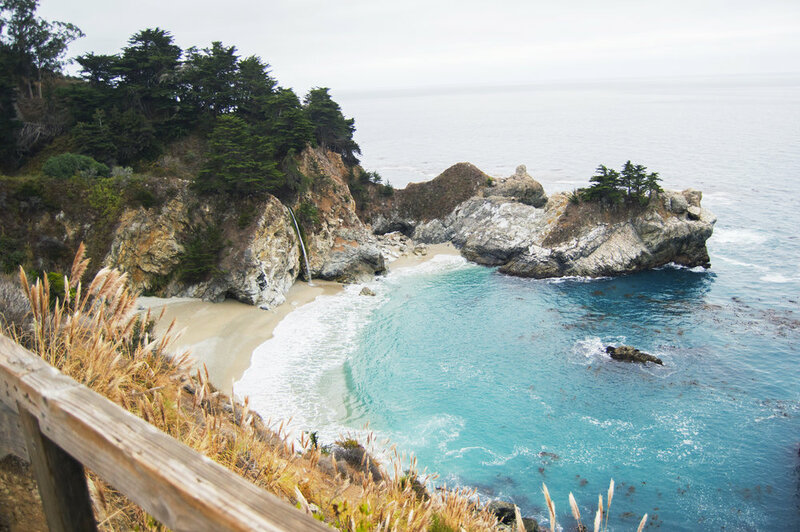 One of my favorite spots was McWay Falls in Big Sur, CA. This place is breath taking. While no one is allowed on the beach you are able to view it from the hiking trail above it. 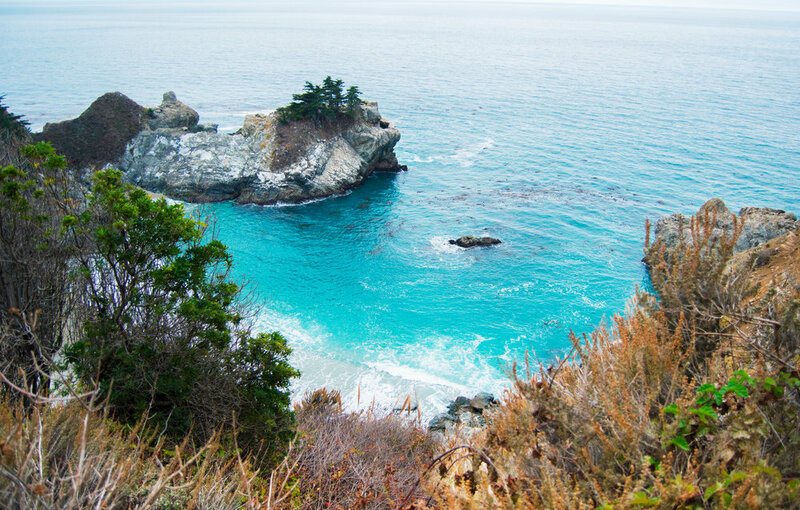 It features a cove of turquoise colored water, a beautiful water fall flowing onto the beach, and a combination of the forest and ocean views. While dogs are not allowed on the trail we couldn't refuse taking the pups on for a quick second to take a look. We also got there at around 6:30am so the rangers didn't mind since no one else was on the trail yet. Even though it was overcast it was still an outstanding view and a place I hope to return to! To see more of my adventures see my Instagram!